In this tutorial, I will use the hostname server1.example.com with the IP address 192.168.1.100. These settings might differ for you, so you have to replace them where appropriate. 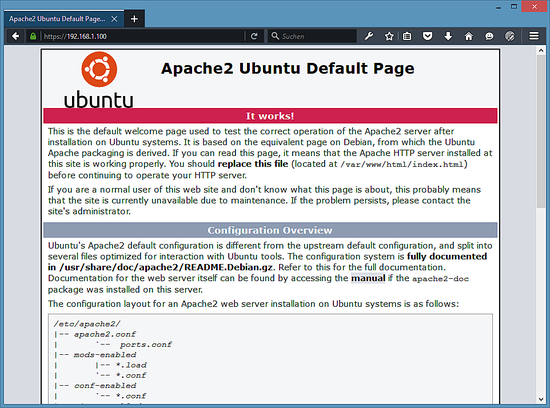 I recommend to use a minimal Ubuntu server setup as basis for the tutorial, that can be a virtual- or root server image with an Ubuntu 15.10 minimal install from a web hosting company or you use our minimal server tutorial to install a server from scratch. 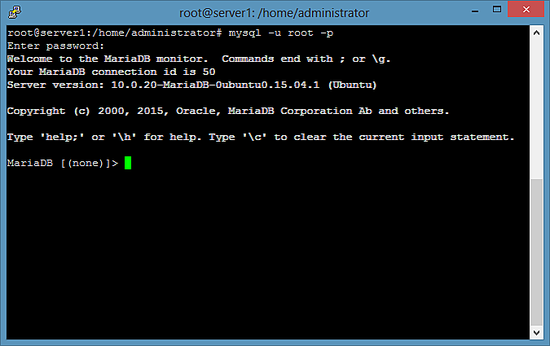 To leave the MariaDB shell, enter the command "quit" and press enter. The document root of the apache default vhost is /var/www/html on Ubuntu and the main configuration file is /etc/apache2/apache2.conf. 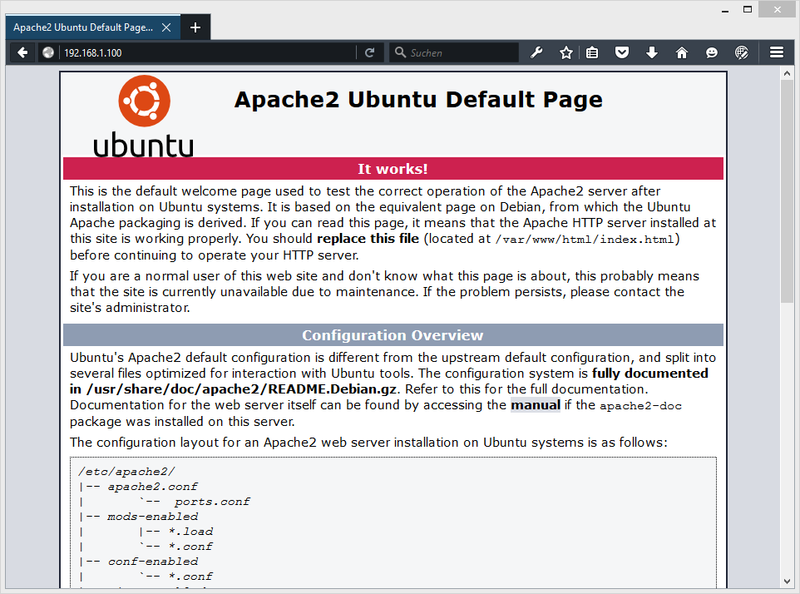 The configuration system is fully documented in /usr/share/doc/apache2/README.Debian.gz. 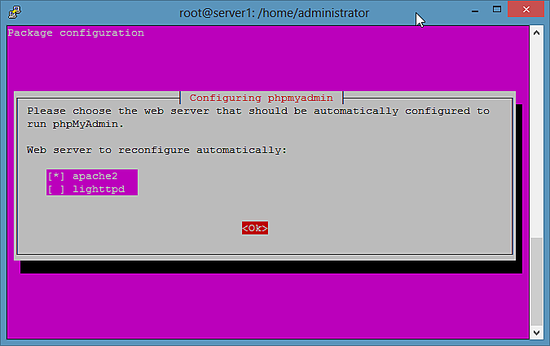 As you see, PHP5 is working, and it's working through the Apache 2.0 Handler, as shown in the Server API line. If you scroll further down, you will see all modules that are already enabled in PHP5. MySQL is not listed there which means we don't have MySQL / MariaDB support in PHP yet. 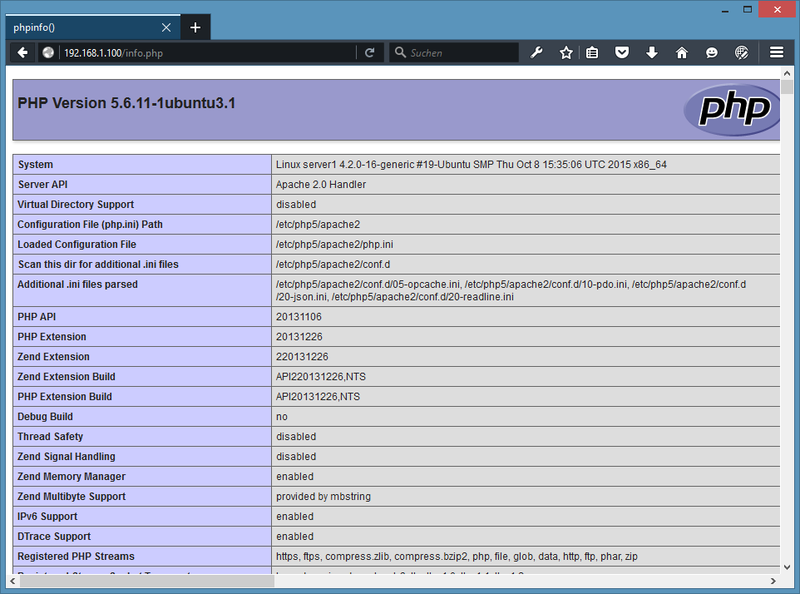 Now test the SSL connection by opening https://192.168.1.100 in a web browser. 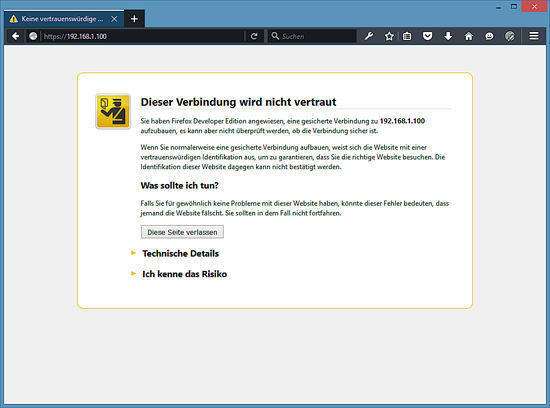 You will receive a SSL warning as the ssl certificate of the server is a "self signed" ssl certificate, this means that the browser does not trust this certificate by default and you have to accept the security warning first. 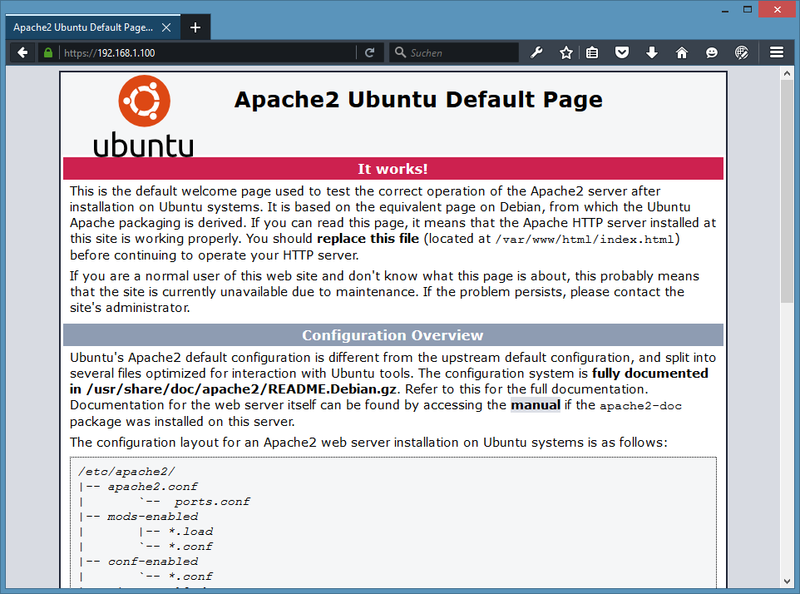 After accepting the warning, you will see the apache default page. The closed "Green Lock" in front of the URL in the browser shows that the connection is encrypted. 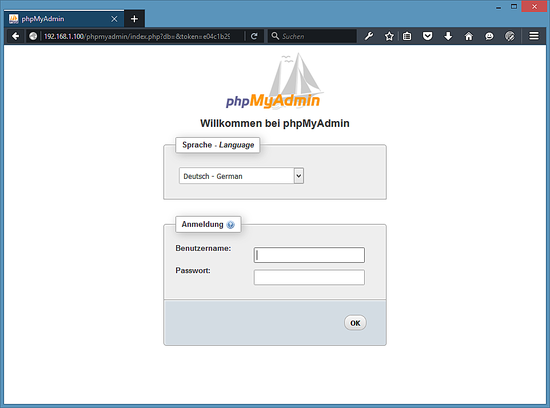 To get rid of the SSL warning, replace the self signed SSL certificate /etc/ssl/certs/ssl-cert-snakeoil.pem with a officially signed SSL certificate from a SSL Authority. 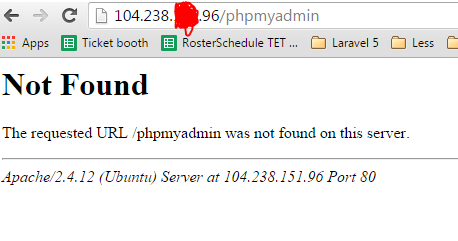 I follow your tutorial but i cannot access http://ip/phpmyadmin. That's not necessary, just verified that that on my LAMP server here. I explained to anhtuank7c above which step of the tutorial he and you missed. I write in the tut that you should select the option "apache2" when the phpmyadmin installer asks for "Web server to reconfigure automatically"
The error that you have occurs when apache is not selected by enabling the "apache2" option with the "space" key of your keyboard. 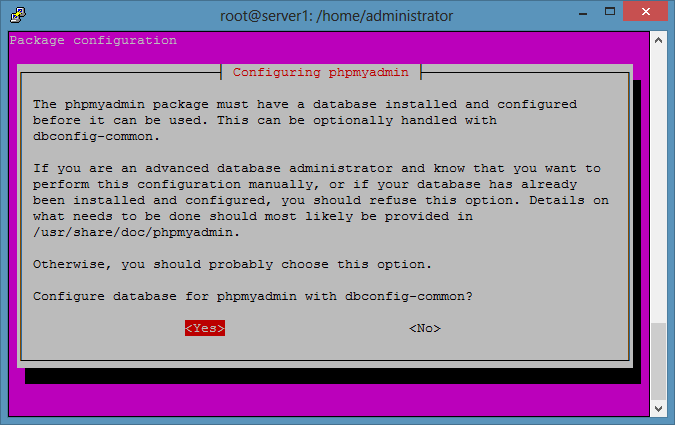 You can redo that by running "dpkg-reconfigure phpmyadmin". Hi There! 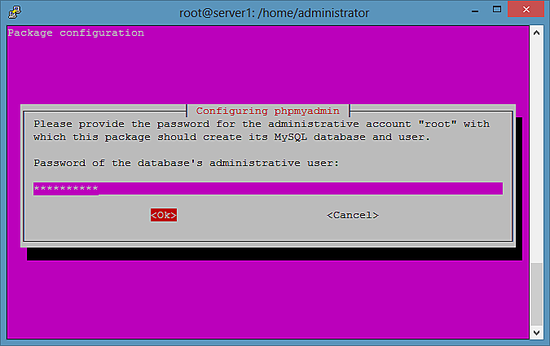 I found your tutorial very helpful, How would I proceed if I would like to install MySQL instead of MariaDB? Concise, short, clean. I like it! Though I didn't install phpMyAdmin. Most mysql php applications come with instructions on how to configure the sql database on the command line anyways. Worked fine for me! Thx for the work done. 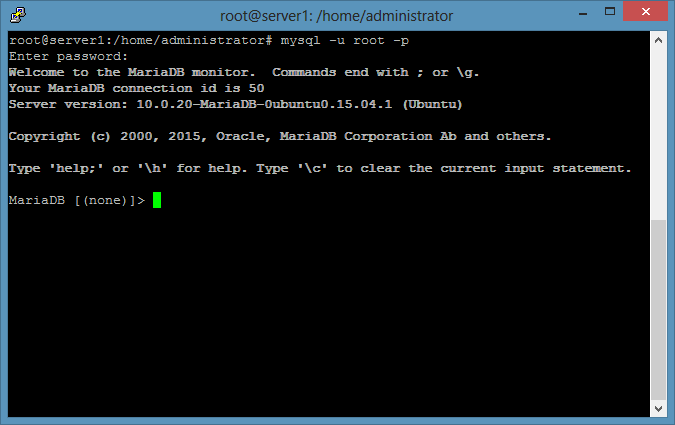 I had some troubles switching from mysql to mariadb because there seemed to be an incomplete install from mythtv. And due to version conflicts (mariadb 10.0, mysql 5.6) it was a little tricky. Appreciate the tutorial. I am very excited to have Lamp running on my system. 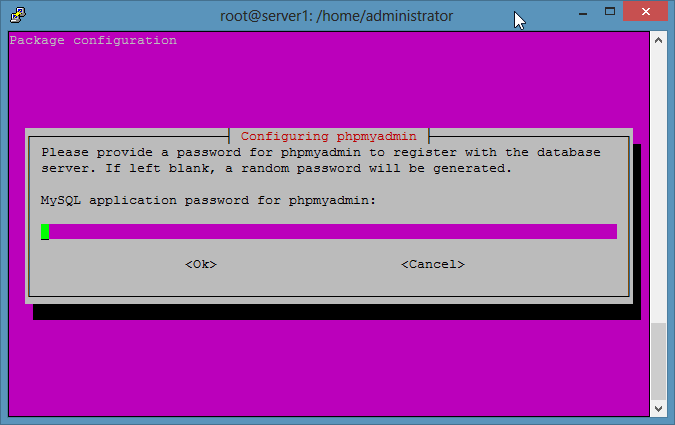 I followed your tutorial and unfortunately getting "Cannot log into Mysql Server" error message at Phpadmin page. I get landed at > prompt. Please extend support in fixing the issue. Very Nice! I'm interested to see how much faster this version of MySql is! One note, I never did get the certificate warning after enablling ssl; perhaps because I'm on a Google Cloud? This is fantastic. 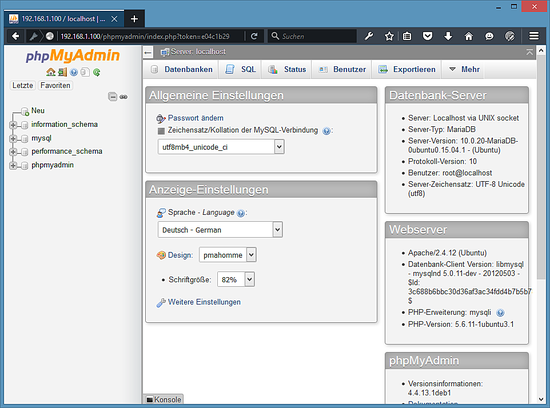 It's rare to find a tutorial complete with phpmyadmin, ssl, all of it. Kudos. Hey excelent tutorial worked perfect the 1st time... i do got a question though how could i automate the whole thing into a shell script is that possible? and if so how could i do it? Used it for my cubox i4pro running debian 8 . 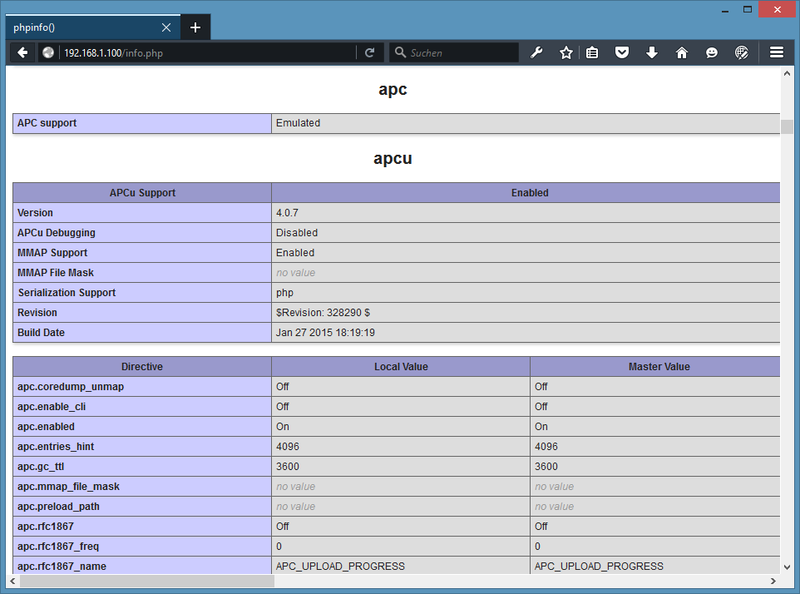 Ubuntu 15.10 LAMP server with Apache 2.4, PHP 5 and MariaDB as virtual machine image download in ova/ovf format, compatible with VMWare and Virtualbox.